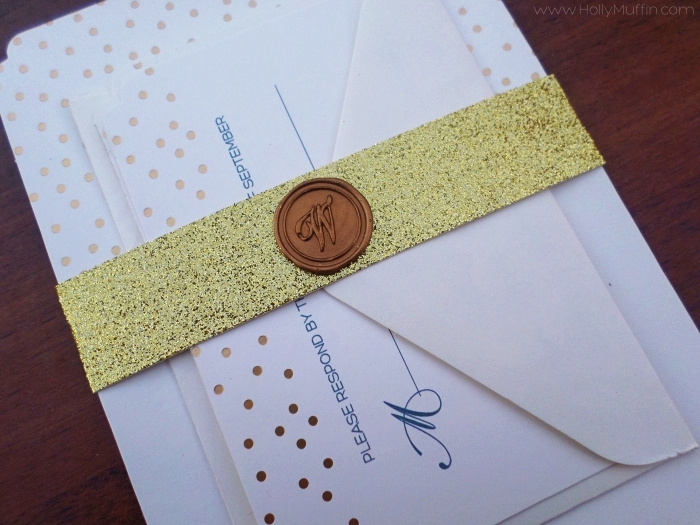 From the beginning, I knew that I wanted our formal invitations to match our gold save-the-dates. Like everything, I didn’t want to go over the top and spend $500+ on invites. I knew I wanted some type of foil or embossing, but everything I found was out of reach and way over budget. 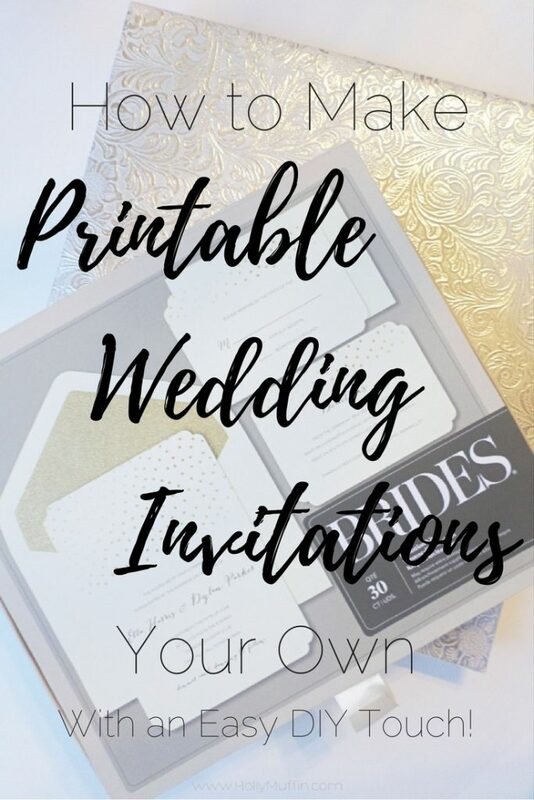 I decided to save money and upgrade some printable invitation kits to make them more our style. 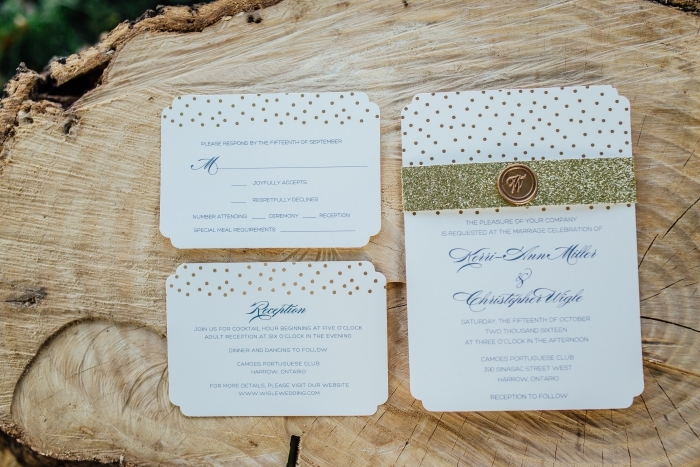 When I stumbled across Gartner Studios Brides Gold Foil Dots Print At Home Invitation Kits at Michaels (also available on Amazon), I knew they were perfect. I used 50% off coupons to purchase these kits at Michaels, and spent about $100 for 175 invitations. These print-at-home kits were the right pick for several reasons. 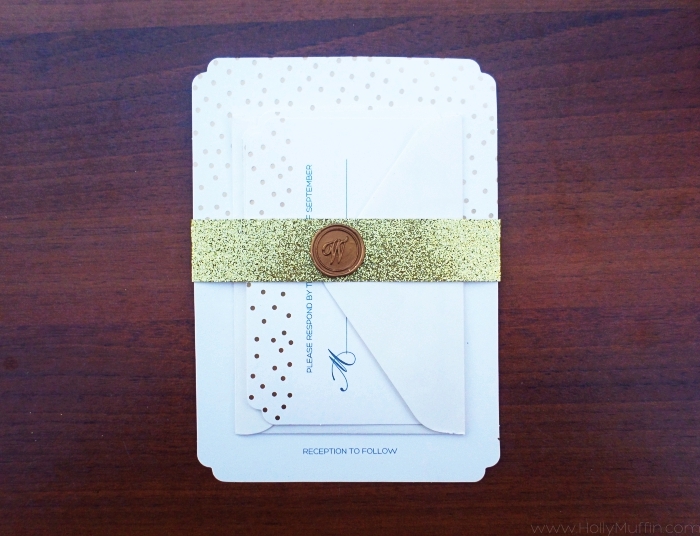 First, they come premade with amazing details – foil/embossed dots, glitter envelopes, and punched edges. Second, they’re extremely customizable – you can print whatever you like. 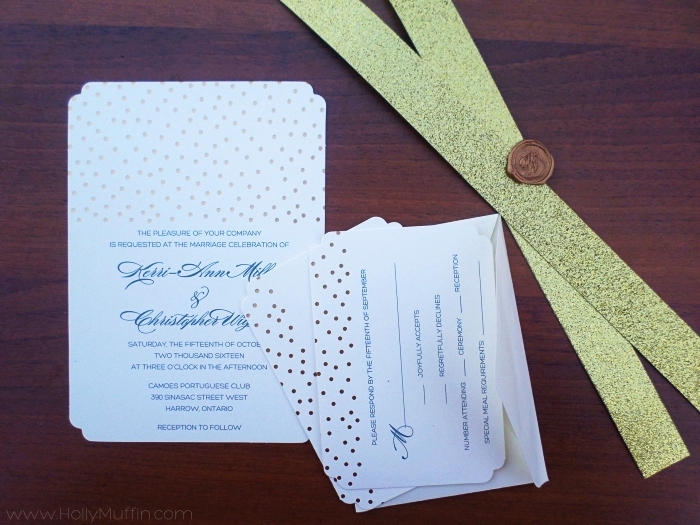 Third, they’re made of a beautiful and heavy cardstock that’s of similar quality to invitations 5x the cost. 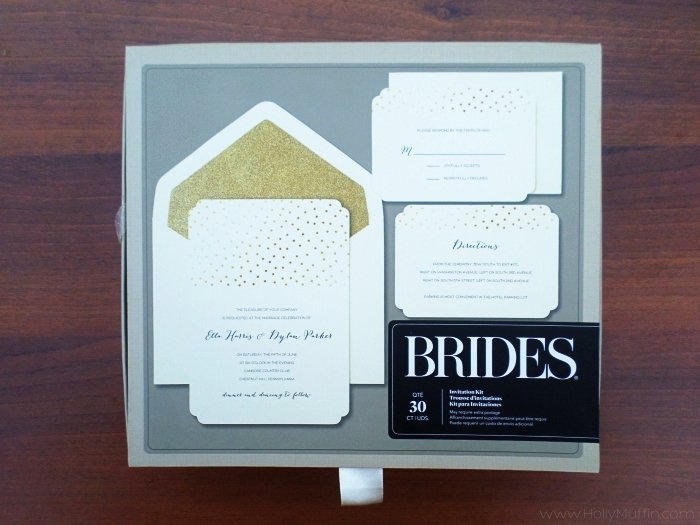 After designing our invites using the online template provided with purchase (so cool! ), I printed the invitations at home. They looked amazing, but there was still something missing. I needed to put my own little Kerri spin on these store bought kits, so I did. 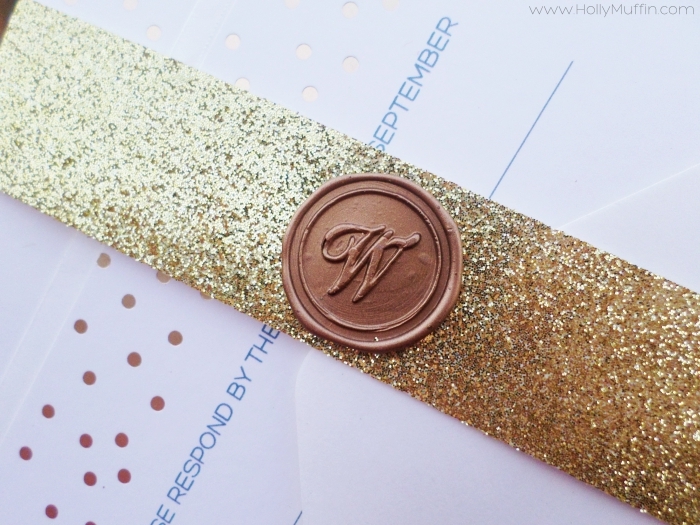 I made these printable invitations our own by adding a band and “W” sealing wax monogram. Believe it or not, adding these details was so easy! 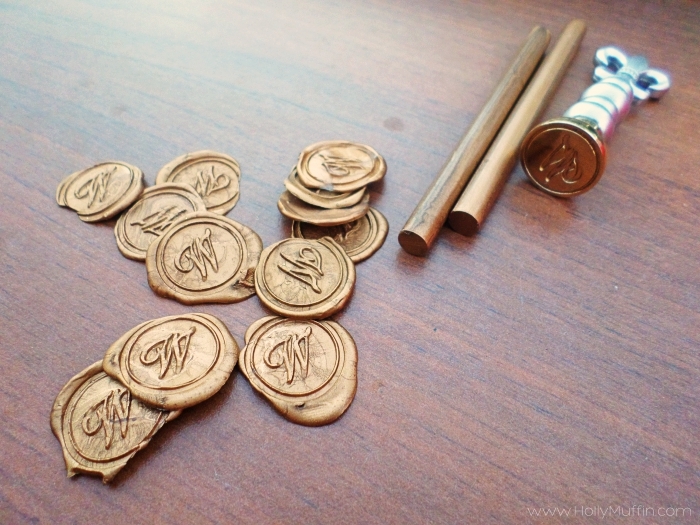 Premake 175 wax seals by stamping on top of wax paper. Doing this allows the disks to slide right off after drying. Amazon actually sells very cost effective kits that will allow you to practice. Use a paper trimmer to cut 1.5″ strips of paper (1 per invitation). Group the invitation and enclosures together and bent the glitter strips around the grouping. I flipped them over and closed the paper band with a glue zot. 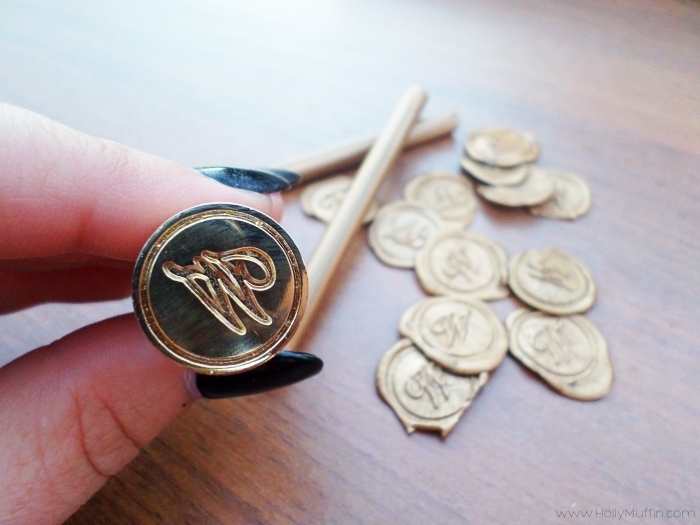 Attach one wax seal to the middle of each gold band using another glue zot. 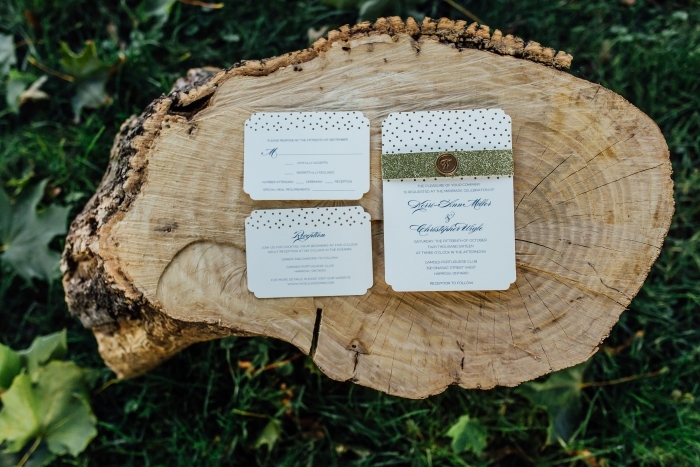 These bands completely changed the look of our invites. We now had custom details that not only cost very little money to create, but were quick and easy to attach to each invitation set. The snug bands also held all of the enclosures together extremely well.